Shirley T. Faircloth - Buell & Elligett P.A. Shirley Faircloth attended the University of Florida where she received a Bachelor of Science in Business Administration with honors. She received her Juris Doctorate degree from the University of Florida in 1989. 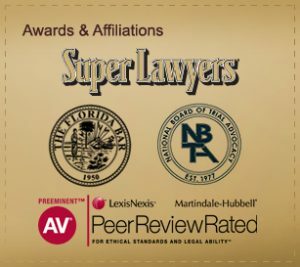 While in law school, Shirley was a member of the Florida Law Review. Following law school, Shirley joined the Tampa law firm of Shackleford, Farrior, Stallings & Evans, P.A. In 1994, Shirley joined Schropp, Buell & Elligett, P.A., where she has practiced in the areas of commercial litigation, eminent domain, insurance coverage and appellate law. The firm became Buell & Elligett in 2007. Shirley serves on the Local Professionalism Panel and the 13th Circuit Professionalism Committee and has served on and chaired the Florida Bar Grievance Committee 13A. Additionally, she has served on the Thirteenth Circuit Fee Arbitration Committee, as a Special Master on the Tampa Municipal Code Enforcement Board, and as a civil litigation instructor in the Rollins College Paralegal Studies Program. In the community, she has been active with the Junior League of Tampa, the Children's Cancer Center, school parent associations and as a Girl Scout troop leader. Shirley enjoys painting, reading and boating in her free time. Do not send any confidential information before an attorney-client relationship is established. Attorney Advertising. This web site is designed for general information only. The information presented at this site should not be construed to be formal legal advice nor the formation of a lawyer/client relationship. Buell & Elligett, P.A. is located in Tampa and serves clients throughout Florida.